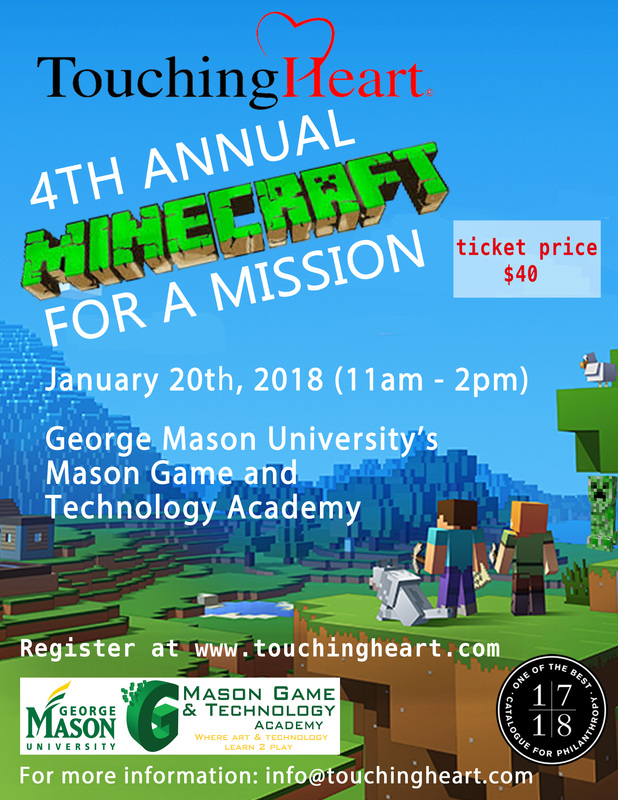 The 4th annual Minecraft for a Mission will be held on Saturday, January 20th 2018 at George Mason University’s Mason Game and Technology Academy. Join us for a day of gaming, auction and raffles, and concessions all to benefit kids in need – you don’t want to miss this event! *Tickets are $40, must have an active Minecraft account to participate and parents must stay to chaperone their children for entire event. Please email info@touchingheart.com with any questions or if you are interested in volunteering at this event! Also – to learn more about some of the coolest Minecraft Mods, check out Lyncconf’s Top 15+ Best Minecraft Mods!